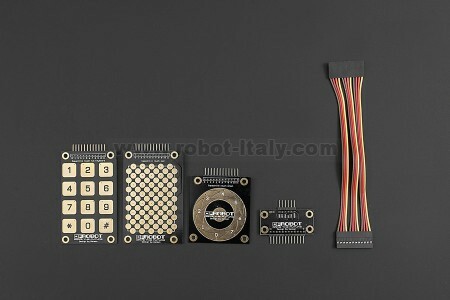 This DFRobot touch kit comes with three types touch sensors. An ipod styple wheel touch, a keypad touch which supports backlit and a grid touch pad which can recoginze something unique. Now, it is time to add a more fancy interactive way to your project. 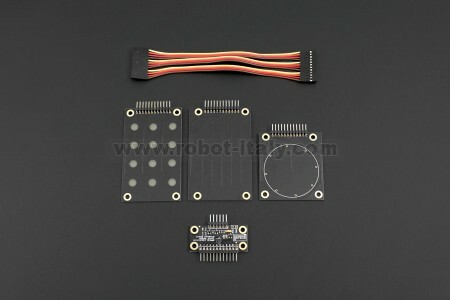 This DFRobot touch kit comes with three types touch sensors. An ipod styple wheel touch, a keypad touch which supports backlit and a grid touch pad which can recoginze something unique. This kit utilizes the not very "latest" capactive touch technology which make the sensing very sensitive. 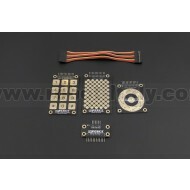 The kit is designed to be compatible with Arduino. When a capacitive load is detected (e.g. a person touches the sensor-pad area) the red LED lights up and the output pin goes high. The AT42QT1010 Capacitive Touch Breakout offers a single capacitive touch button with easy-to-use digital I/O pins.